On the day you were born the creator preprogramed you with four basic survival instincts to deal with every survival situation you will encounter in life, they are FIGHT in the situation, FLEE from the situation, FEED or benefit from the situation and SEXUALLY REPRODUCE to ensure survival of the species. Everything else you know today you have learned along the way. The four basic instincts you have are located in a tiny part of the back of your brain and serves no higher purpose. That small section has a technical name but, because it has such a limited function it's been nicknamed the "Lizard Brain" because, even lizards have the same four basic survival instincts. Fear comes from the fight or flight part of survival responses. Fear tries to keep you safe from anything that might include any form of danger. Unfortunately, fear is a common emotion that prevents us from doing so many things we should be doing to live a better life. Fear is afraid of the unknown, even great opportunities that could improve all the tomorrows of your life. 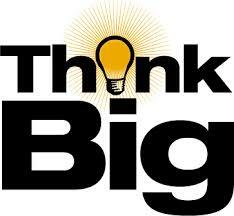 To overcome the negative impact fear may have on your life suggest you reframe the way you think about fear. Fear can be a huge asset in your life when you use it for your benefit. Think of life as one long, never-ending, opportunity to learn. Throughout your life you will be presented with many opportunities to learn, grow and achieve. Some opportunities will be small, some will be huge. If an opportunity to move up to a higher level in life is presented to you, in most situations your lizard brain may scare you off from taking action. Understand the upside of fear is, your brain is bringing to your attention something you really need to be doing. At this point you don't know how the opportunity is going to turn out but, your conscious brain recognizes the value of the new opportunity. Mastering the skills and execution of each opportunity builds confidence. Each new opportunity you master opens the door to even bigger opportunities. ​Something is going to happen if you take on the challenge or if you don't. Suppose you try to do something and you fail, nobody's going to harm you in any way. The lesson of failure is, there is something you have not yet learned or there was something you haven't yet done. Both are correctable situations. The good life belongs to those who never give up. ​Every professional athlete has at least one coach. Some have several. To learn all the required lessons of success, learning from a coach is the fastest way. Remember, even pro-athletes fail 2/3 of the time but, nobody ever talks about their failures, only their successes. ​All major changes in your life require you change your behavior in some way. As you learn, do and build your confidence, suggest you target small tasks and practice these new behaviors until they are the only way you do the activity. Each time you have mastered the new behavior pick out another larger target. In time, you will have so much self-confidence you'll function as though you're 10' tall and bazooka-proof. ​Once you accept fear as a positive turning point opportunity in your life, your life will never be the same again. Afterward, as Zig Ziglar taught us all, "See you at the top!"